Erwin is primarily self taught. Later in life, he received a Bachelor of Music from the American Conservatory and then Masters of Music from Northeastern Illinois University. Erwin starts students playing by ear and later introduces note reading and theory. He teaches both improvisation and classical music depending on where students' interests lie. 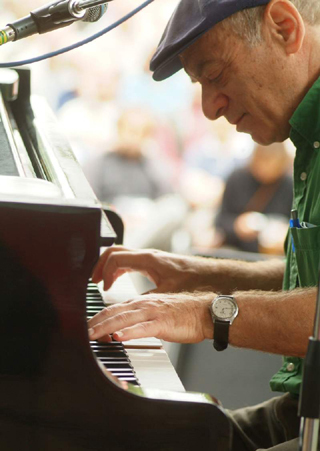 When teaching improvisation, he teaches the styles he plays - blues, standards, and boogie. Erwin teaches all ages, beginners on, and has turned out professional piano players. Interested in taking private piano lessons? Erwin would like to talk to you personally over the phone and discuss your interest and schedule. Please call 773-472-4787 and leave a message with your name, phone number, and good time to call you back. Photo Credit: iranydebrecen.hu - Thank you!